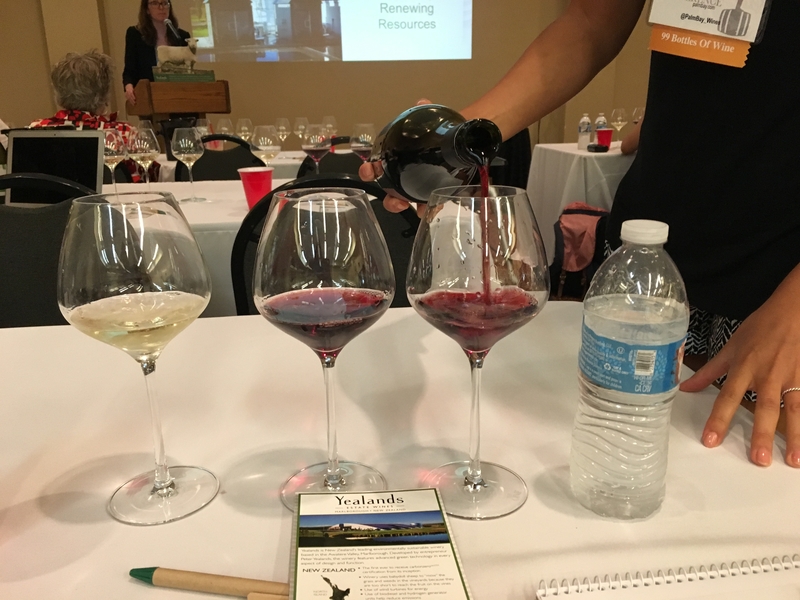 The Wine Bloggers Conference 2016 introduced us to Yealands Estate Winery in New Zealand in a witty and engaging talk with winemaker Tamra Kelly-Washington. She educated the audience about the impressive sustainability features of Yealands and about the innovative spirit of its founder, Peter Yealands. Kelly-Washington helped us get oriented to the unique climate and geography of New Zealand and the appelations that influence Yealands wine. She described the various microclimates in the vineyard including the low-yielding salty, herbal vines near the ocean and the sheltered inland vines that exude floral and citrus bouquets. The tasting experience was an enjoyable one with six wines in all. What a treat to be educated by the winemaker herself as we sip and write! Our first wine was the 2015 Peter Yealands Sauvignon Blanc. It conveyed notes of white pepper and fresh mown grass, as one might expect from New Zealand wines, but with a lovely tropical breeze added in for good measure. 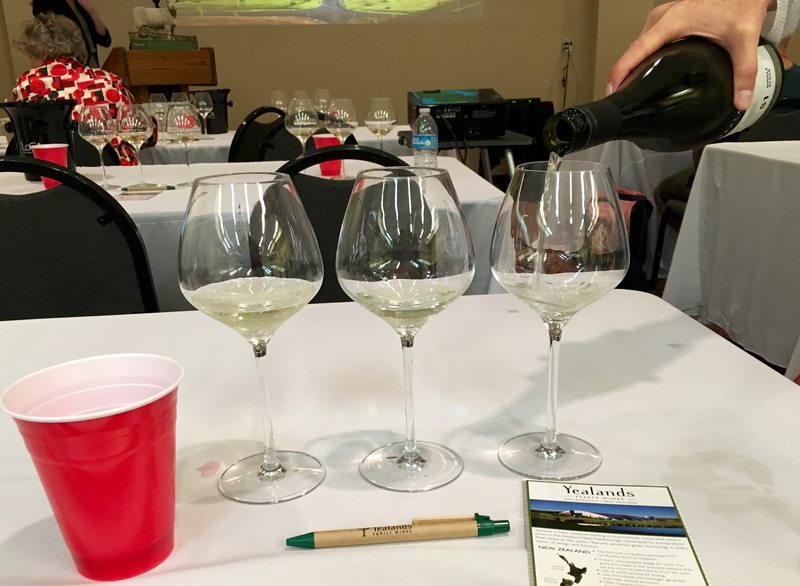 The 2014 Yealands Estate Single Vineyard Sauvignon Blanc showed seaweed on the nose. It tasted of sun-baked granite and a hint of lettuce greens. The 2014 Yealands Estate Single Block S1 Sauvignon Blanc was acidic and flinty. A rich salinity complemented the taste of basil lemonade. Next we sampled the Pinots, which were real gems. The 2014 Peter Yealands Pinot Noir eminated red fruit and spicy pomegranate with campfire smoke in a long, toasty finish. The 2014 Yealands Estate Single Vineyard Pinot Noir was freshly acidic and filled the palate with bright cherry notes. Our favorite was the 2015 Peter Yealands Pinot Gris. Its floral aromatics combined with refreshing nectarine. Kelly-Washington described this wine as having a unique “depth of concentration” and we would have to agree. We are grateful for such an enriching tasting experience and thank Kelly-Washington and her team for their knowledge and generosity. If you’re an amateur oenophile like us we encourage you to give Yealands a try. Their wines take minerality to a whole new level.